Yeah, but: Unquestionably the best camera of 2009. 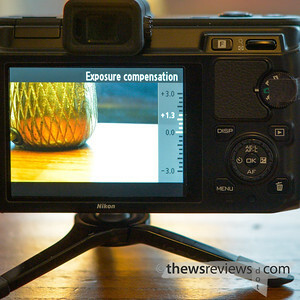 The Long Version: The Nikon 1 V1 is a deeply flawed camera, and those flaws start with its name. The "Nikon 1" appellation is very difficult to search for, the "CX" format name has no traction, and the whole thing just sounds dumb. Nikon already makes three distinctly different operational tiers of SLRs, in two different sensor formats, and didn't feel the need for anything more than model names to identify them. 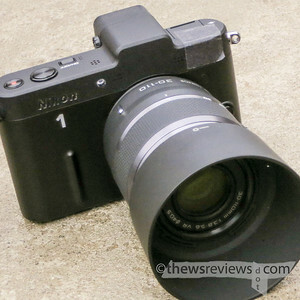 The "1" in 'Nikon 1' is superflous and self-aggrandizing, and is probably an underlying reason why Nikon's small-sensor mirrorless format was so ruthlessly mocked by the camera intelligentsia. Let's be clear: Nikon had it coming. From the marketing exhortation to "set your creative freedom free" to their offended "but we've been working on this for four years" stance, it's clear that they had no warning of the animosity that their 116-square-millimetre sensor and Sigma SD1-esque launch price would provoke. It was as if every camera-blogger and forum dweller had turned into Ken Rockwell, convinced of the indisputable rightness of their opinions based on something they read on the internet. I have to admit that I joined in briefly, decided that it was an evolutionary dead end, and then – like the rest of us Serious Camera People – forgot all about the system. Now, a year later, its price has dropped through the floor. I have been mocked and derided for buying a V1, but I was shooting 4/3 sensors before they were cool. My photography has occasionally benefited from an antagonistic attitude, so the V1 suits this approach perfectly. But of course, not all of the initial scorn that the V1 faced was unwarranted. Far from it. The V1 camera itself feels like it was designed by three different people who weren't on speaking terms. There are flashes of real brilliance here, which just makes its failings all the more frustrating. The green 'power' light on the top of the camera is dark when the LCD is on – it's redundant, and thinking to turn it off is an elegant design touch. It's lit when the EVF is active, which is a great reminder that the camera is ready and drawing power. Yet even when the display button has been used to turn off the LCD there's no way to defeat the eye-sensor and keep the EVF active, so the EVF is always dark for a second when the camera is first brought up for use. Frustrating. The camera's exposure compensation has a range of three stops in each direction, but there's no automatic exposure bracketing function. The camera is almost frighteningly fast to shoot, but there's no way to turn off the image review, or even to extend its duration should someone actually want to use that feature. This cripples the cameras' vaunted focusing speed and tracking. The Auto White Balance can be tuned to provide subtle colour refinement, but Active D-Lighting can only be turned on or off, with no level control. Only whole stops are available for setting a single iso sensitivity, but the auto-iso mode will use thirds of a stop increments; its ceiling can be set with three different maximum values, although it will never tell you what sensitivity it's actually using. And there aren't even any "Art" effects built in – which is a good thing, but it proves that this camera really did start its development an eon ago. The appeal of the menu structure, which other reviewers have praised, escapes me. There's no apparent order or logic, settings that are likely to be changed frequently aren't located together, and there's no "my menu" list of recently used items to provide a shortcut. Yet the selection bar changes from yellow to red to warn the user that selecting "yes" after "format" isn't just another trifling choice. I've never seen another camera interface combining such poor execution with such thoughtful attention to detail. It's absurd that a camera that offers pixel mapping, front and rear IR receivers for the wireless remote, and a built-in intervalometer nonetheless requires a trip into the menu to change the shooting mode. This inconsistency is my main frustration with the camera: if it was universally bad I could just write it off, but so much of it is better than this. The V1's buttons and controls, few though they are, are still worth mentioning. Exposure compensation is one of the most useful photographic controls, and its button is the right side of the four-way pad – the three-o'clock position. It can be adjusted up or down by pressing the top or bottom of the control ring, or by rotating it like the command dial that it is. Setting a brighter exposure, which is an upwards movement of the on-screen indicator, is accomplished with a clockwise turn: that's rotating the dial "downwards" from the EV Comp button position. Completely counterintuitive. The exposure compensation on-screen display is another of the V1's many almost-made-it design moments. It cleverly avoids clutter by only putting numbers at zero and at the ends of its range, and displays the currently selected value in white instead of black on the muted grey background. Very clear and easy to understand. But the LCD doesn't preview the effect of the change, and the V1 doesn't have a live histogram, so it's still a matter of guessing the correct setting before being able to see its results. I'm not even going to discuss the "mode" dial – mine has been neutered by taping it in place. The only thing I really miss is having access to the better controls and options of the dedicated movie mode, and the extra few seconds to unstick the tape is a small price to pay for not accidentally using the Harry Potter or Auto-Cull modes. No, what really bothers me is that none of the three people who designed the V1 could think of a supplemental use for the dedicated "Trash" button when the camera is taking photos. But I wouldn't take the time and effort to be this annoyed by the Nikon V1's faults if I didn't like the camera. In just a few weeks I've gone from essentially impulse-buying the deeply-discounted camera and standard zoom to owning a three-lens kit, an FT1 adapter for my full-sized lenses, and Richard Franiec's custom V1 grip. 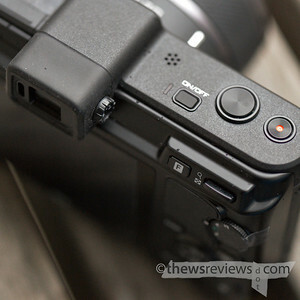 Clearly, despite its foibles and flaws, there's something very appealing about the Nikon V1 and the CX format. After my first few weeks with the V1 I still can't decide if it's a good camera or not. It certainly has its frustrations; some of them go away when I'm using it, and others don't. There are a lot of good things going on with this camera, but I'm needing to learn how to use it in ways that I haven't faced with the many others that I own. I have some very solid – although inevitably personal and subjective – reasons why this is exactly the right camera for what I do. I take a longer look at those, and possibly even discuss image quality, in part two. 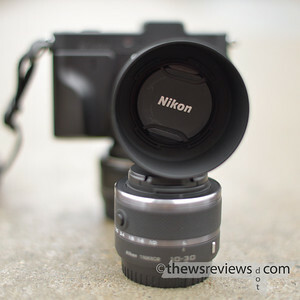 After reading the part 1, I can't say my general opinion of the Nikon 1 system has changed, but to me honest, I think almost everybody is on the same boat regarding any mirrorless camera system today. Even my Panasonic GF1, my favorite camera out all the ones I own, most likely offers me worst performance in terms of ISO and image quality. Not to mention the odd times when I wish I just had a different camera on me while using it. I don't think we can win with the mirrorless in terms of being truly happy with them-we just do a little better each time. But hey, let's look on the bright side, the V1 is still more portable than a good number of cameras out there and while it may not be the best EVF, it has one. Anywho, I will be waiting for the Part 2. After reading your review (parts 1 and 2) I found one deeply discounted. Bought it--kit zoom and 10/2.8. Wish I had the longer zoom too. Use? Every Day Carry. My d300s with lenses I chose is too much to carry daily. In fact, if someone likes it more than I do, I wouldn't want to lose it...and that goes for the Oly. It costs too much. So for me the 1V1 is an everyday carry camera. It's a delight. Image quality is as good or better than "enthusiast" P&S's. Focus is fast. Price was right.